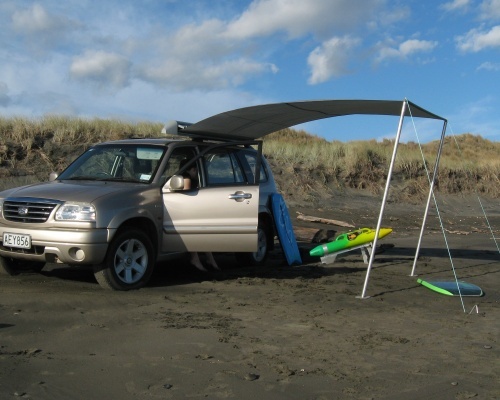 Wind sturdy vehicle and camping awing - $349.95. 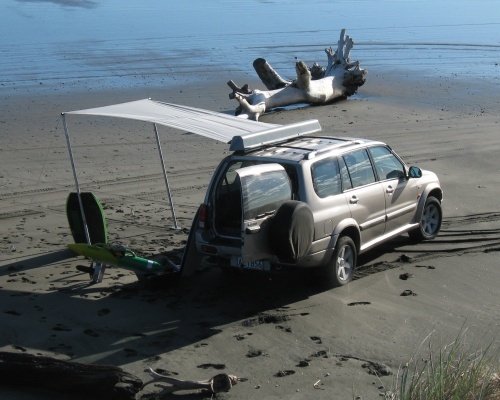 Designed to fit on vehicle roof racks for SUVs, 4WDs, Utes, off roaders, cars, vans, caravans, camper vans and moter homes. 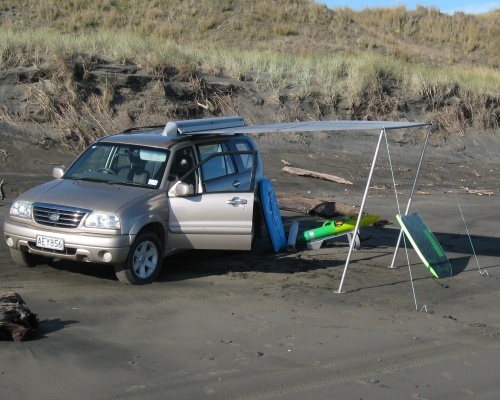 Sturdy The car acts as an anchor and wind break, with guy ropes and pegs to keep it taut. Made in NZ using strong weather resistant materials. User Friendly - Fast single person assemble! To use simply: lift door as shown on right. Remove poles, guy ropes, pegs and feet. Unroll canvas. Erect poles and place feet underneath them. Attach guy ropes to the top of the poles and peg into the ground. Relax.